Won a Media Award Lately? Addys, Emmys, Tellys, Golden Reels…oh my! There are a plethora of global media communications awards competitions, as well as many more local and regional competitions each year. Why do people enter? Well, when they win, it could be for the marketing benefits – letting your clients and potential clients know that you produce high quality work. It could be that awards competitions touch our deep-seated need to be admired and respected by our peers. Social Media has jumped on board the award bandwagon and sites such as LinkedIn have special areas in your profile where you can list your awards. If you know that something you have produced is truly fabulous, entering it in a competition could pay back the entry fee in PR. And if your clients are anything like my clients, they love the fact that your work for them is recognized as top notch. 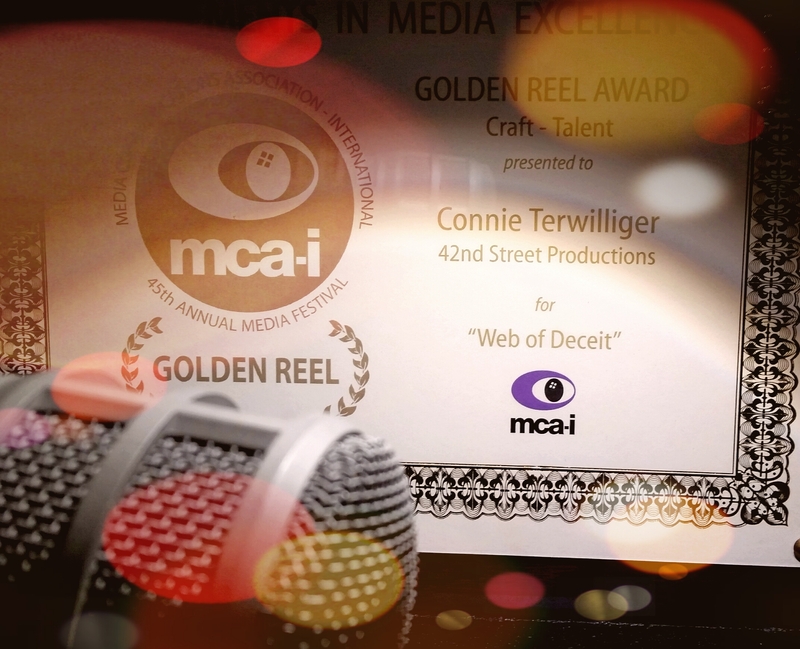 I entered the 45th MCA-I Media Festival in the Craft: Talent Category for a narration for the Mob Museum in Las Vegas – “Web of Deceit.”The VO was a small part of a great product produced by Northern Light Productions, who I have had the pleasure to work with on some other great projects. To get the full effect of the video, you need to be in the room – immersed in the spider web walls. Very cool. Oh, and it won a Golden Reel! Will I enter something in the 47th MCA-I Media Festival – which is accepting entries now? I will have to dig through my recent projects to see if there is one that brings all the elements together into something award-worthy. Most of the time, I don’t even see the final projects.